We’re gathered here today to honor the memory of my wife, helpmate and best friend, your co-pastor and Servant of God. 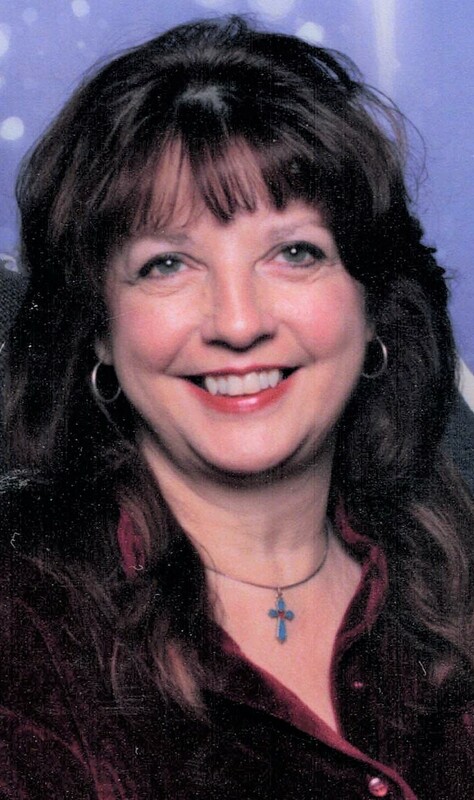 Janie Knight, age 69, unexpectedly went home to be with the Lord Jesus on January 19, 2019. Janie was born on October 31, 1949 in Youngstown, Ohio to the late James and Marjorie (Cowles) Hetzel. She was a graduate of Jackson Milton High School, earned a Certificate of Completion as a Medical Technician, completed courses through Lee University of Church of God and Berean University of Assemblies of God and was a licensed Minister through the Pentecostal United Christian Church and Ministerial Association of Cleveland, TN. She served in teaching Adult Discipleship Class, founding with her husband the Compassion Ministries, also served as an usher, altar worker and choir member during her 7 years of Ministry Training with her husband at the Leavittsburg Church of God. Janie was the co-director with her husband for three years of the Trumbull County March for Jesus. She helped her husband and the director in the Planting of the Christian Homeless Shelter of the Warren City Rescue Mission, being involved for two years. Janie worked as a staff member for three years alongside her husband at the American Rescue Workers Homeless Shelter. She Co-Founded and Planted with her husband, Mark, the Abundant Life Harvest Church in Canton, Ohio where she has served in an innumerable number of roles for 15 years and 4 months. She was a tireless, faithful dedicated servant to all, and she never complained despite suffering daily from Rheumatoid Arthritis and its complications. She was the manager of Walden Books, worked on displays inside the K-Mart Stores for numerous years, worked as a secretarial assistant to the owner of Chico’s stores at their Headquarters in Florida and for Joni Halls’ Thomas Register Sales. Janie was the best wife and I was blessed to have her and call her my wife for these past 25 years. Janie is survived by her husband of 25 years, Mark Knight; daughter, Erica Cain of Youngstown; sons, Steve of Salem and James of Lake Milton; her in-laws, Dave and Connie Caraway; brother, Frank of Lake Milton; stepson, Mark Knight of Garrettsville; eight grandchildren and two great-grandchildren with one on the way and many nieces and nephews and her Abundant Life Harvest Church family. Janie is preceded in death by a son, John Paul who died during birth, sister, Jennie Bertram and nephew, Timothy Craver. Janie enjoyed sewing, taking country drives and nature walks with her husband, vacation times away with her and her husband, spending time with their two cats, Morty and White shoes, and most of all she enjoyed serving the Lord Jesus and serving others. She will be truly missed by any person whose life was touched if even for a moment as she left an impact and impression of Love on every life hers touched. A service Celebrating her life will be held on Sunday, January 27, 2019 at 11:00 a.m. at the Abundant Life Harvest Church, 821 Gibbs Ave., Canton, Ohio. We will all miss you dearly. Rest in heaven Janie. Janie, we were separated by miles for the last 18 years, but our phone calls were always so special to me and kept us close. You were always right on time, reminding me of God’s word and His promises, as I was going through the ups and downs of life and family. You were the very best friend and example that anyone could have had– how to live a godly life, never complaining about your own pain or problems. I constantly looked up to you as someone to emulate, but fell short. You knew, but always encouraged me! I will miss your voice terribly on the other end of the phone, but so glad that I have His promise that we will see each other again, when I step on the other side of the curtain and see what you see now. GLORY. I love you. What a beautiful and wonderful daughter in law you have been to us and what a special blessing to have shared you in our lives in service to our Lord Jesus Christ. We love and miss you and you will live in our hearts forever until we walk hand and hand in heaven with you on the streets of gold. You became one of my mom’s dearest and closest friends during some of my pivotal years and you spent a lot of time in our home when I was a teenager. It’s a time in my life that I’m not proud of but you never judged. You just loved. I remember one moment in our kitchen, you recited John 3:16 to me and as you spoke the words, you began to cry with such passion and conviction. It was a really beautiful moment. Over the years, you were a faithful friend to my family and especially, my mom. The day I learned of your passing, I imagined you so beautiful, the bride of Christ, your body completed restored and perfected. Thank you for the influence you had on my family and specifically, for your prayers for my husband and myself. I can only imagine how beautiful your crown is and am honored to have known a woman of your caliber who pointed so many to our Savior Jesus Christ. We will not let your sweet husband suffer alone. We love you! Until we meet again in paradise! You were always unfailingly kind and caring to me, and I remember having long talks with you in my mom’s office, many years ago. While my heart is sad to hear of your passing, I am also overjoyed to know that you are walking with Him, and that you are experiencing wonders that we can only imagine. Your family is in my prayers. To my darling Janie I Love you and miss you . You were my very best friend. I enjoyed our birthday dinner together. I cant wait to see you in heaven. I am so glad you came into Marks life .I feel blessed to have known you. No words could express the pain in my heart when I found out that you had passed away. It took my breath away. I was happy and joyful from celebrating my birthday on Friday, January 18th but that turned around to total shock when I was told the news of your passing. My husband and I both cried. It’s still hard to believe but we know exactly where you are and pray we’ll see you there when our time comes to leave this life. We felt your presence at your church on Sunday and know you are happy and free of all pains you suffered in your life on Earth. We love you and will miss hearing your words of wisdom and guidance as well as your beautiful smile. Rest in peace and we’ll see you on the other side..We are forever blessed to have had you in our lives.